Now is the perfect time to be picking nettles. They are young and tender and like any new season’s produce, at their freshest and best. Given that we spend most of our time avoiding contact with these stinging plants, it’s surprising to think what a pleasure they are to eat. So welcome their new growth and arm yourselves with gloves to go picking, because the reward is certainly worth it. 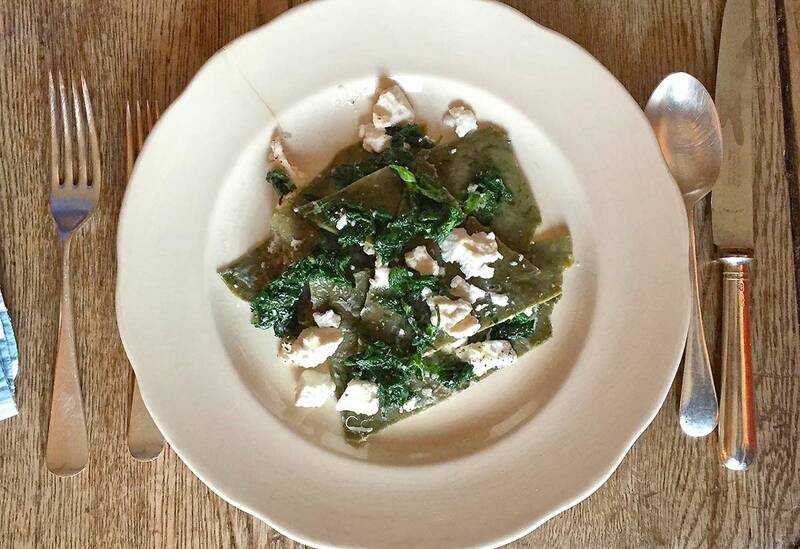 Last week I ate a superb dish of nettle pappardelle at the River Cafe which inspired me to deviate from my usual nettle soup or ravioli recipes. (See my recipe for the Guardian for ravioli stuffed with nettles and ricotta ) The fun of this new method is getting the green colour and the flavour of the leaves into the pasta dough, rather than using the nettles as stuffing for ravioli or blended in a soup. I used the rich egg pasta dough recipe from my book, EGG, blending the uncooked nettle leaves with the egg yolks so they could be easily mixed into the dough. When the leaves are this young, there’s no need to cook them and it avoids adding extra moisture to the dough which keeps it firmer and silkier. The good news is, if you’re prepared to put in a bit of elbow grease, you can roll out the dough by hand, so a machine isn’t necessary. There wasn’t a pasta machine available for me to use where I was making this and it still worked well. Given that we spend most of our time avoiding contact with these stinging plants, it’s surprising to think what a pleasure they are to eat. 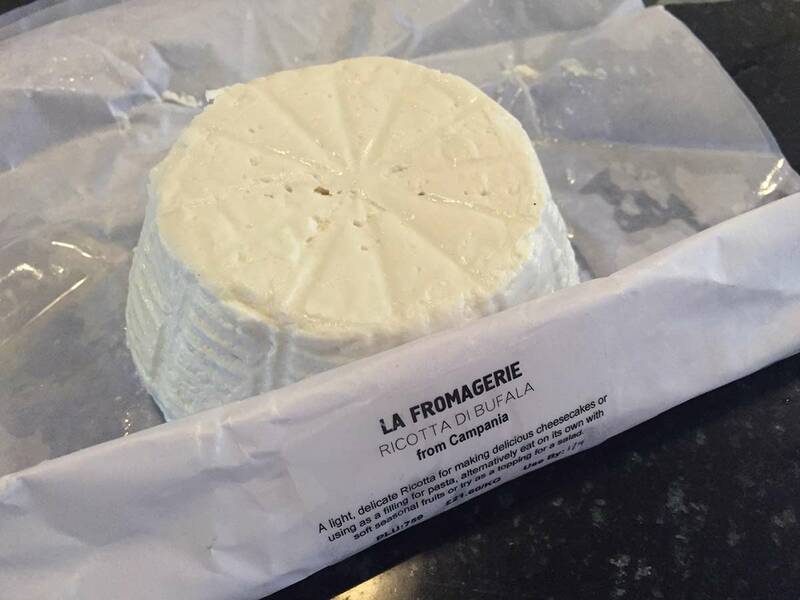 I used fresh buffalo ricotta which I found in La Fromagerie (one of my favourite food shops in London), fresh free-range Burford Brown egg yolks, plenty of unsalted butter and Parmesan. 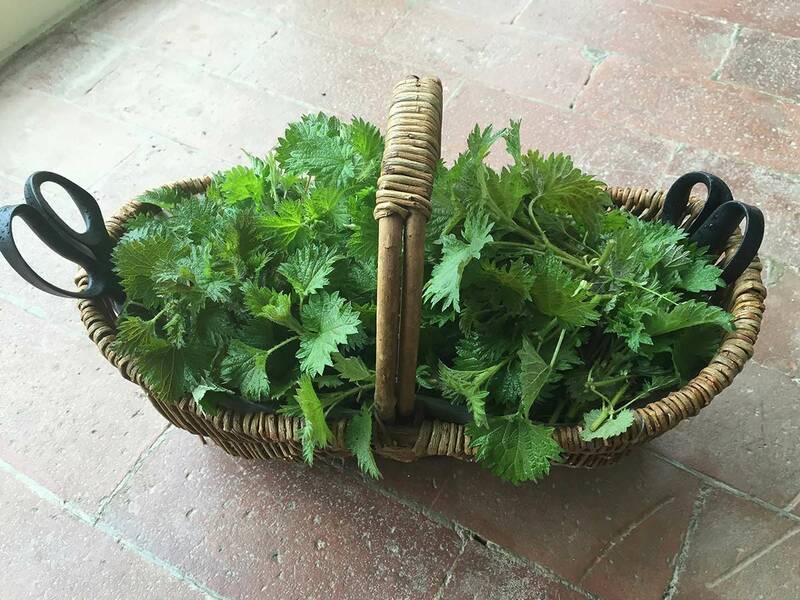 You don’t need many ingredients (and the nettles can be foraged for free), so it’s worth searching out good quality ones, even if they do cost a bit more. Once I’d rolled the pasta into thin sheets, I cut it into ‘silk handkerchief’ shapes which the Italians call ‘fazzoletti’. I made a sauce by melting lots of butter with a few grates of nutmeg and added a couple of handfuls of nettles to this. Using a few tablespoons of the pasta cooking water, I braised the nettles until they were just cooked and layered the cooked pasta sheets with this mixture, dollops of ricotta and grated parmesan. Finished with freshly ground black pepper and some flakes of sea salt, it was ready to serve. Honey from a weed, you could say. Put the yolks in a blender with the nettle leaves and blend until smooth. Sift the flour into a bowl with the salt and make a well in the middle. Pour the egg and nettle mixture into the well and using a wooden spoon or your hands, gradually combine the eggs with the flour until you have a cohesive dough, adding a couple of tablespoons of water if necessary. Knead the dough for a few minutes on a lightly floured surface, then wrap it in cling film and rest in the fridge for at least 30 minutes. Divide the dough into four equal sized portions and taking one at a time, roll by hand on a lightly floured surface, or using a pasta machine, until it is about a millimetre thick. Trim any ragged edges and cut the sheet of dough, which should now feel silky smooth, into irregular triangles. 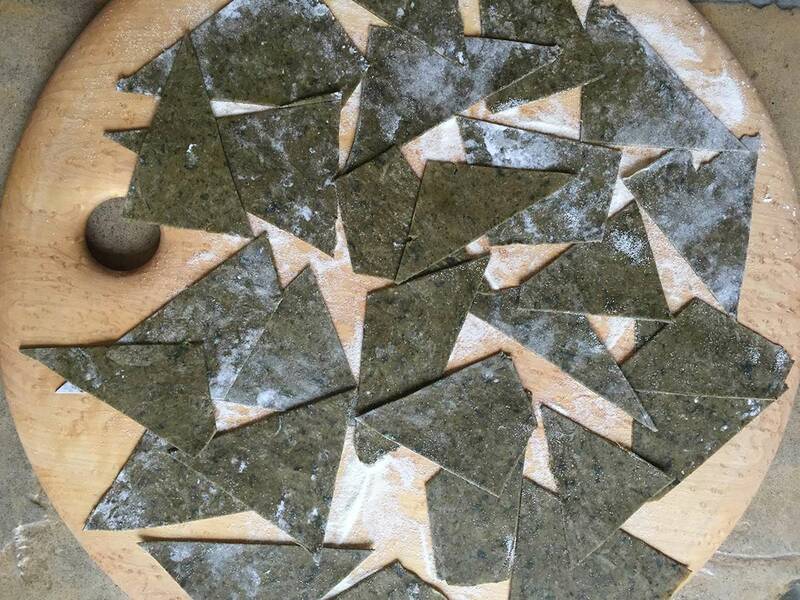 Dust a board or tray with semolina flour and lay the triangles in a single layer to dry while you roll the rest of the dough. (Pasta will keep like this in the fridge, covered with cling film for a couple of days). Bring a large pan of salted water to the boil and cook the triangles for about 1-2 minutes, until they are tender but retain a little bite. Drain, reserving the cooking water, and leave the pasta in a colander while you prepare the sauce. Melt the butter in a large, shallow saucepan and add the nutmeg and the rest of the nettle leaves. Add a couple of tablespoons of the cooking water and cover with a lid. After about a minute, remove the lid and give the cooked nettles a good stir. Add the cooked pasta sheets and some more of the cooking water to prevent them from sticking. Season well with salt and pepper and grated parmesan, gently lifting the sheets and moving them around so all are covered. Choose a large serving dish and put a few of the pasta sheets in a layer on the bottom. Scatter with dollops of ricotta, some more grated parmesan and some of the melted butter and cooked nettles, sprinkling over some of the cooking water to create a sauce. Continue to layer the pasta sheets and other ingredients until you they are all used up. Serve immediately on warmed plates.